For decades, Thunder on the Mountain has been hailed as one of the largest and most extravagant Independence Day traditions in the state of Alabama—and this year will be no exception. 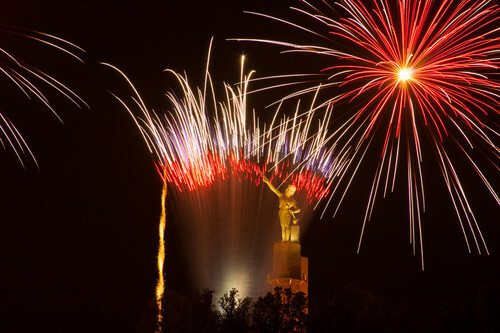 On July 4 at 9 p.m., Thunder on the Mountain will once again illuminate the skies above Birmingham’s beloved iron man, Vulcan. Free to the public, this year’s show will last approximately 20 minutes and will feature a variety of firework shells that will brighten the sky with new colors and patterns. The show will be choreographed to a musical soundtrack that will feature a mix of patriotic favorites and popular music.